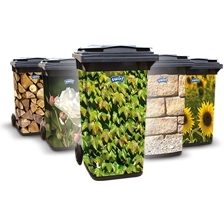 • As soon as moisture starts to build up in the bin the odour absorber becomes active. It binds the odour molecules and discretely keeps them in. • The natural substances in the odour absorber are highly biodegradable. • They are completely safe for the user. • With tearproof 3 layer material and a waterproof base. • With a drawstring to hold them perfectly in the bin and for closing and carrying. Simple, fast and safe. 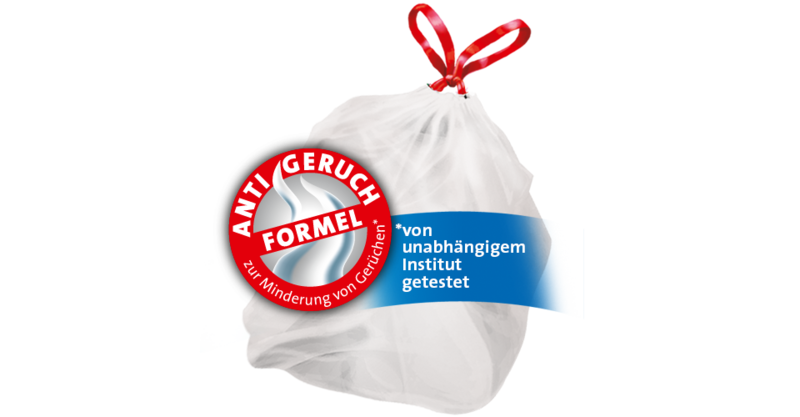 Before unpleasant smells develop, the innovative anti-odour bin liners start to act. Developed by Swirl® for you. Tested by an independent institute. Bad smells are a thing of the past.